The KVD Pro Model Tube is salt impregnated and have an overall length of 3.5 inches great for all around use. 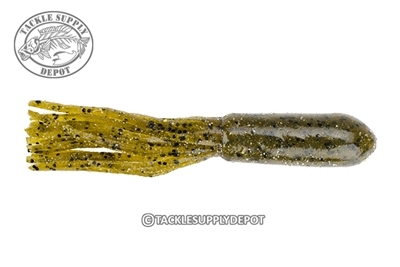 Unlike the Denny Brauer Tube this bait does not have the same solid head design allowing it to be used with an internal tube jig head and fished around shoreline and dragged along rocky bottom. This is ideal for finesse fishing on light line and spinning outfits yet can also excel for a downsized profile with flipping and pitching situations.